Produced by Participant Productions and distributed by Paramount Vantage Pictures, the Al Gore movie “An Inconvenient Truth” has been seen by many tens of millions in the English-speaking world. It has presented and interpreted data that has had signal impact in the public consciousness, ignited unprecedented editorial and public debate, and precipitated a re-ordering of national priorities. In addition, it has provided the political impetus to make meaningful changes in energy policy and the consumer culture, and will possibly result in legislation needed to move the US and global economy in the direction of the new paradigms needed by the human race to survive and thrive in this century. While English is a very popular language, it is spoken by less than a billion people, or less than 13% of global population. Mandarin Chinese (about 1.4 billion), Hindi (400 million), and 5 other major languages (each over 50 million) spoken on the Indian subcontinent together account for another 2.6 billion native speakers, or another 40% of global population. A Spanish language (380 million speakers) version of the movie is being distributed, but other non-English languages account for the vast majority of native speakers in the rapidly expanding global economy. It is crucial to inform, educate and mobilize these populations, whose expectations have been raised about participation in the global energy-dependant economy, with the message embedded in the movie. Together, these constitute a critical mass. 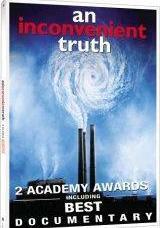 To dub “An Inconvenient Truth” into major non-English languages, particularly in India and China, and distribute the movie for maximum impact to schools, colleges and in the popular media via DVD. The message particularly needs to be heard by parts of the developing world that are rapidly stepping up use of hydrocarbons, with resultant global warming impact. The intention is to create the political will in rapidly industrializing countries to adopt the kinds of limits proposed by the Kyoto protocols, and make other changes necessary to attain a sustainable world. Paramount’s India licensee Saregama has completed translating AIT into Hindi, the principal language in India and now awaits final approval from the Indian government for public release. Once it has completed its commercial release in several months, FSF, in partnership with Saregama, expects to distribute AIT to a variety of nonprofits, rural villages, educational institutions and the corporate sector for broad dissemination. Paramount is scheduled to complete the Chinese language version by March 2008, after which distribution will commence. We seek additional partners in the nonprofit, educational and government sectors and support from the institutional sector for translation into other languages and for distribution, to broadly expand this impact of the message to youth and the rural sector nationwide. We particularly seek partners for translation and distribution in China.